“Despite repeated assurances that the budget process would be public and transparent, the Democrat majority has been meeting behind closed doors and it is clear that this budget is composed almost entirely of gimmicks and with the assumption that the proposed tax increases will be approved by voters in the November General Election. “Earlier this week, Governor Brown called the Democrat budgets’ plan ‘structurally imbalanced.’ Their $16.2 billion solution to fix the deficit includes approximately $14.9 billion (93 percent) in tax increases and gimmicks, and only about $1.3 billion (7 percent) of real spending reductions. “This budget plan contains none of the Governor’s pension reforms necessary to address the unsustainable cost of public pensions that are bankrupting the state and local governments. And it continues to erode money for critical services like education and public safety. “The Democrat majority has the decision making authority to craft a balanced budget, yet, they play shell games and blame Republicans for blocking their never-ending efforts to raise taxes. Neither does anything to bridge the state budget gap or inspire public confidence in the Legislature’s ability to function. “Public opinion polls have shown a steady decline in support for the tax measures. Californians are tired of their taxes being raised and they don’t trust lawmakers to spend tax revenues responsibly. 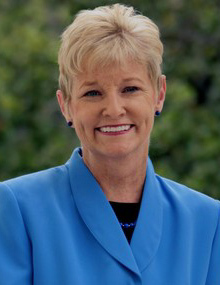 Sen. Sharon Runner represents the residents of the Seventeenth Senate District, which includes portions of Los Angeles, Ventura, Kern and San Bernardino Counties. Contact her office at 916-651-4017, or via email at senator.runner@sen.ca.gov. “Despite the state’s deep fiscal challenges, California’s lawmakers have done their best to uphold the principal that every child deserves to start life with a chance to learn and grow—no matter where they happen to live. “While every dollar of lost funding will hurt, keeping the cuts to preschool and quality child care programs to a minimum—as well as rejecting the ill-advised proposal shift of these programs away from Department of Education oversight—acknowledges the fundamental role these programs play in the future of our children and the success of our state.